Max Charles Photos, News, and Videos | Just Jared Jr. 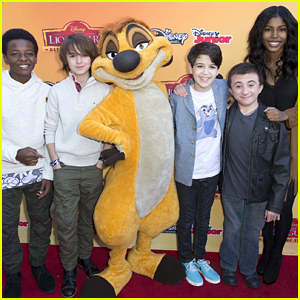 The cast of The Lion Guard: Return of the Roar pose with Timon at the VIP screening of their new show and movie at Walt Disney Studios on Saturday (November 14) in Burbank, Calif.
Max Charles met up with his co-stars Diamond White, Atticus Shaffer, Dusan Brown, and Joshua Rush at the red carpet event ahead of the TV premiere next week on Sunday, November 22nd. 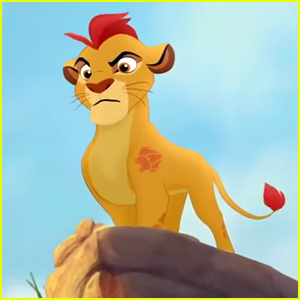 The TV movie follows Kion (Charles), the second born cub of Simba and Nala from The Lion King movie, as he becomes leader of the Lion Guard and assembles the best and brightest to help him protect the Pridelands. In case you missed it, meet the cast and their characters on JJJ! Get to know the voices behind Disney Channel’s The Lion Guard: Return of the Roar with this fun exclusive slideshow! 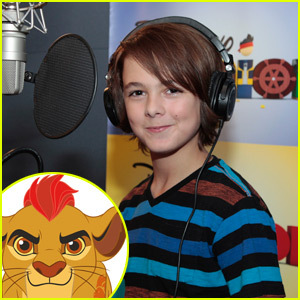 The TV movie follows Kion (Max Charles), the second born cub of Simba and Nala from The Lion King movie, as he becomes leader of the Lion Guard and assembles the best and brightest to help him protect the Pridelands. Diamond White, Atticus Shaffer, Dusan Brown, and Joshua Rush also star. Get to know them and their characters by clicking through the slideshow below! Be sure to tune into The Lion Guard: Return of the Roar on Sunday, November 22 on Disney Channel! Kion (voiced by Max Charles) roars into the sky in this new clip from Disney Junior’s The Lion Guard: Return of the Roar. 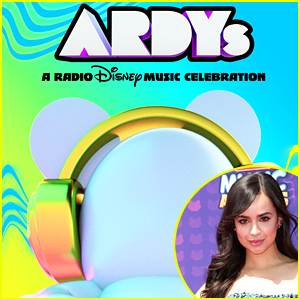 The primetime television movie event will premier in November on Disney Channel, with a TV show following. The movie follows Kion, the second-born cub of Simba and Nala, as he assumes the role of leader of the Lion Guard, a team of animals tasked with preserving the Pride Lands. In the television series, while traditionally the Lion Guard has been comprised of lions known to be the fiercest, bravest, fastest, strongest and keenest of sight in the Pride Lands, Kion breaks tradition by instead calling upon some of his friends — Bunga, a fearless honey badger (Joshua Rush); Fuli, a confident cheetah (Diamond White); Beshte, a happy-go-lucky hippo (Dusan Brown); and Ono, an intellectual egret (Atticus Shaffer) — who he believes best exemplify these heroic qualities. 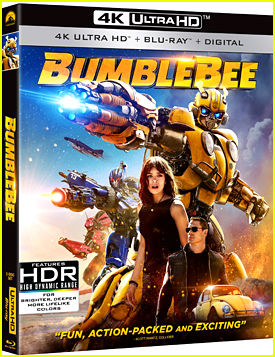 Throughout the movie and the series, the diverse team of young animals will learn how to utilize each of their unique abilities to solve problems and accomplish tasks to maintain balance within the Circle of Life, while also introducing young viewers to the vast array of animals that populate the prodigious African landscape. Th stories will also include special appearances by Kion’s deceased grandfather Mufasa, Timon the meerkat, Pumbaa the warthog, Rafiki the mandrill, Zazu the hornbill, and Kion’s older sister, Kiara, the future Queen of the Pride Lands. 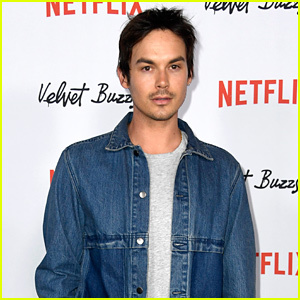 Sarah Hyland, Madison Pettis, James Earl Jones, Ernie Sabella, Rob Lowe, and Gabrielle Union will also be featured in the upcoming series. Bailee Madison glistens in a lovely dress at Hallmark’s upcoming Northpole premiere event held at the Grove in Los Angeles on Tuesday night (November 4). 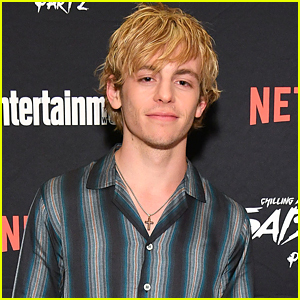 The 15-year-old actress joined her co-stars Max Charles and Candice Glover for the premiere event. Here’s the movie’s summary: Northpole, the magical home to Santa & Mrs. Claus, has grown into a huge city powered by the magic of holiday happiness around the world. Yet as people everywhere get too busy to enjoy festive time together, the city is in trouble. Who can help save the cherished traditions of Christmas? One young boy, Kevin, might have a chance if he can convince his protective mom, Chelsea (Tiffani Thiessen), to rediscover the magic of the season. With a little added help from Kevin’s charming teacher Ryan (Josh Hopkins), a mysterious elf-like girl Clementine and a gospel singer named Josephine, Kevin is determined to bring his mom in on the fun and prove that one small voice can change the hearts of many. Northpole premieres November 15th @ 8PM ET/PT on Hallmark Channel. Max is wearing a La Miniatura suit. FYI: Bailee wore a Mac Duggal dress, Ted Baker heels and Per Lo Jewelry rings. Bailee Madison gives Max Charles a cute hug on the red carpet at Hallmark Channel & Hallmark Movie Channel’s 2014 Summer TCA Party on Tuesday night (July 8) in Beverly Hills, Calif. 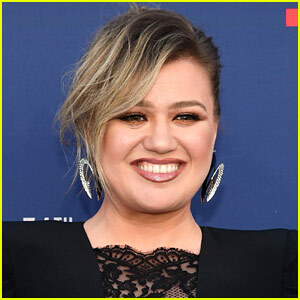 The two stars were joined by their Northpole co-star and American Idol alum Candice Glover. Premiering later this year, Northpole is the magical home to Santa & Mrs. Claus and has grown into a huge city powered by the magic of holiday happiness around the world. Yet as people everywhere get too busy to enjoy festive time together, the city is in trouble. Who can help save the cherished traditions of Christmas? One young boy, Kevin (Charles), might have a chance if he can convince his protective mom, Chelsea, to rediscover the magic of the season. With a little added help from Kevin’s charming teacher Ryan, a mysterious elf-like girl Clementine (Madison) and a gospel singer named Josephine (Glover), Kevin is determined to bring his mom in on the fun and prove that one small voice can change the hearts of many. FYI: Bailee wore an Adolfo Sanchez dress, rings from Gabriela Artigas and Carvela Kurt Geiger shoes.